Abby the Librarian: Show Stoppers! Kelly and I got to talking about the wonderful books on performing arts that have come out for children & teens over the past couple of years, so we're presenting today a list of great books about performing arts for the artsy kids in your life. Check out the teen stuff over at Stacked and you'll get your children's & middle-grade stuff right here! 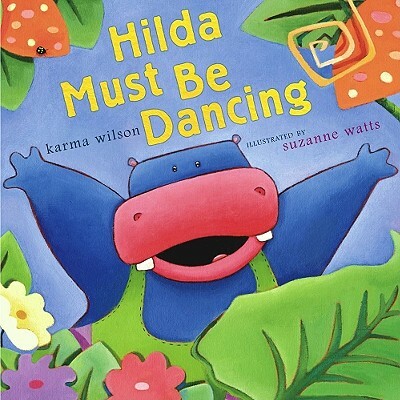 Hilda Must Be Dancing by Karma Wilson (ages 3-6). The bouncy rhyme and rich vocabulary will have kids tapping their feet even as they're gaining valuable early literacy skills. Dooby Dooby Moo by Doreen Cronin (ages 4-8). Can Farmer Brown's animals win the local talent show (grand prize: trampoline) without him knowing? The Remarkable Farkle McBride by John Lithgow (ages 5-9). Farkle McBride tries and rejects a number of musical instruments in this humorous, rhyming book. Opera Cat by Tess Weaver (ages 5-8). When the opera star Madame SoSo comes down with laryngitis, it's up to her cat Alma to save the show! 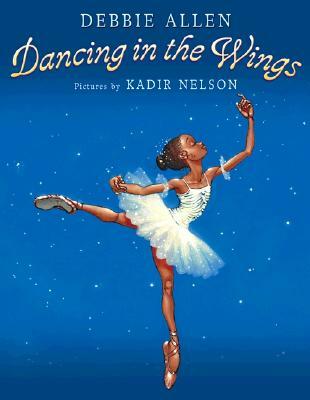 Dancing in the Wings by Debbie Allen (ages 6-9). Sassy longs to be a professional dancer, but she's too tall to partner with the boys in her class, so she dances in the wings during performances. When Sally competes for a prestigious dance program, her hard work pays off! The Talented Clementine by Sara Pennypacker (ages 6-9). When the third and fourth graders are putting on a talent show, Clementine is desperate to find an act - any act - to perform! Drumbeat in Our Feet by Patricia Keeler (ages 6-10). "If you can walk, you can dance. If you can talk, you can sing." - African proverb. 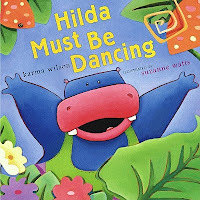 Explore the traditions and meanings of African dance in this colorful picture book. 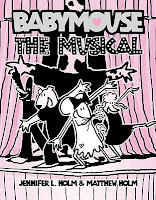 Babymouse: The Musical by Jennifer L. Holm & Matthew Holm (ages 7-10). 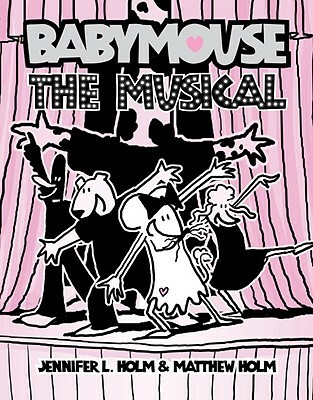 When Babymouse is assigned the role of Felicia's understudy, she's sure she's never going to be on stage. Filled with references to musicals from Phantom to West Side Story to Fiddler, this is a great choice for any young musical theater buffs. Ballet for Martha by Jan Greenberg & Sandra Jordan (ages 7-10). Get a behind-the-scenes look at the work that went into creating the ballet Appalachian Spring. 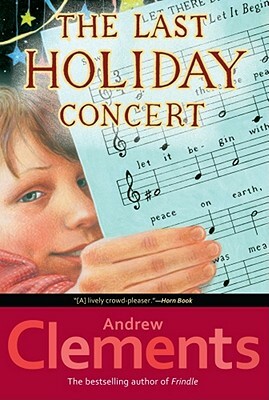 The Last Holiday Concert by Andrew Clements (ages 8-12). When school budget cuts mean that the music and art teachers will soon be gone, Hart Evans decides to make this year's holiday concert the best ever... but it'll take all his powers of persuasion to get his classmates to cooperate. The Barefoot Book of Ballet Stories by Jane Yolen and Heidi E. Y. Stemple (ages 8-12). This beautifully illustrated book retells the stories of some of the most famous ballets. Background information about each ballet is included before the story, making this a book that young ballerinas will cherish. A Crooked Kind of Perfect by Linda Urban (ages 8-12). Zoe Elias dreams of playing the piano at Carnegie Hall. Imagine her surprise when, instead of the piano she was so hoping for, her parents get her an organ. An organ that comes with lessons from Maybeline Person and her book of organ songs... Hits from the 70s. The Mozart Season by Virginia Euwer Wolff (ages 9-12). When 12-year-old Allegra is selected as the youngest competitor in the Ernest Bloch Young Musicians’ Competition, it means a summer of not only practicing Mozart's notes, but learning how to let the music into her heart. The Rising Star of Rusty Nail (ages 9-12). In Rusty Nail, Minnesota, Franny takes piano lessons from the Russian lady that just moved in. Is it possible she's a spy? To Dance by Siena Cherson Siegel (ages 9-13). Siena Cherson Siegel studied at ballet school in New York from when she was six until she was eighteen. This sweet graphic novel memoir describes her time there. Four Seasons by Jane Breskin (ages 9-13). 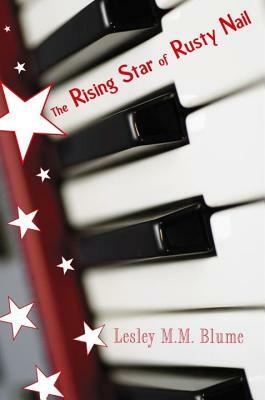 Allegra, piano student at Julliard, must decide whether she wants to commit her life to her music career. 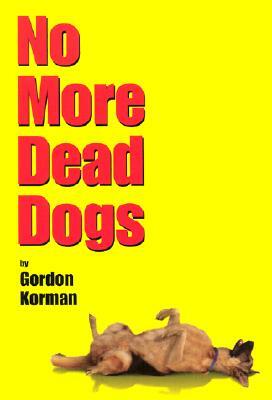 No More Dead Dogs by Gordon Korman (ages 10-13). Eighth grader Wallace Wallace is forced to join the school play after turning in his real opinion of the book Old Shep, My Pal for a school book report. But with Wallace involved, the boring school play turns into something much different. Lemonade Mouth by Mark Peter Hughes (ages 11 and up). Wen, Stella, Charlie, Olivia, and Mo take turns telling the story of their band, Lemonade Mouth, and how they achieved fame and glory. What other great performance books for kids and tweens would you add to this list?